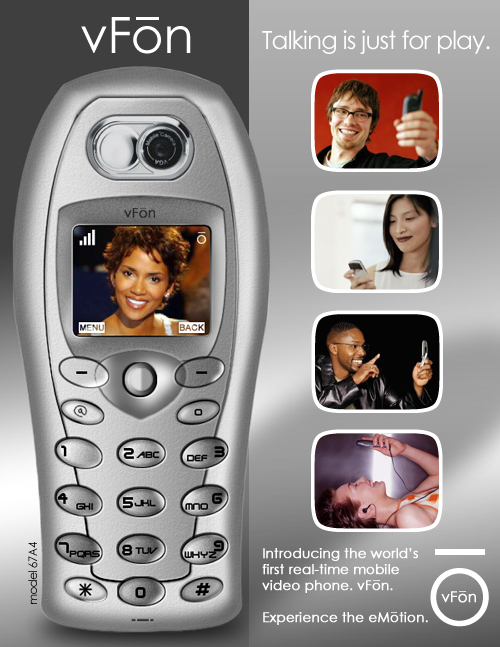 April 2004 vFōn print ad mockup, complete with a pre-Catwoman Halle Berry as spokesperson and light innuendo. 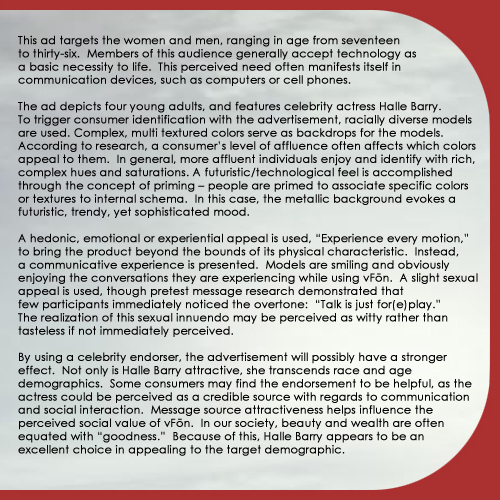 Digging through my personal digital archives, I stumbled upon this college project from April 2004, which I completed as coursework for “Marketing Strategies for Entrepreneurs.” Yes, I went back to school a little later than some. The assignment? Create, design and develop a product or service, then produce a strategic marketing plan to turn your vision into reality. Having consulted for a number of years prior to attending college, and being known as a “Photoshop Gawd” in online communities, I had a clear advantage over my classmates. While they spent hours drawing stick figures or cutting photos from magazines, I developed my digital prototype and marketing collateral from scratch, using a few images I snagged online and a now prehistoric version of Photoshop. My product? I developed FaceTime before iPhone existed. Don’t you just love the dime-sized front-facing camera? With vFōn, you can communicate face-to-face with coworkers, friends, or family. Take high quality pictures, videos, or simply chat one-on-one, captured by a live-camera. 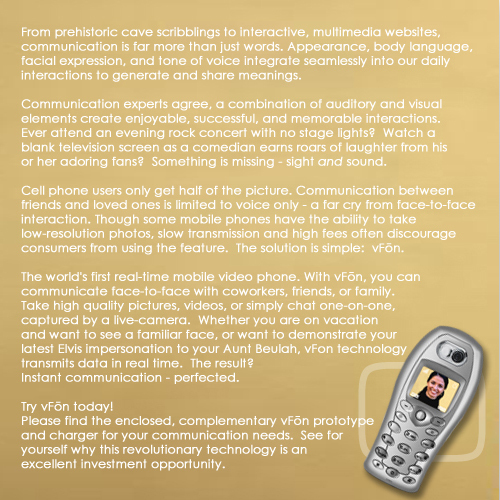 Whether you are on vacation and want to see a familiar face, or want to demonstrate your latest Elvis impersonation to your Aunt Beulah, vFōn technology can transmit the data in real-time. The result? Communication perfected. 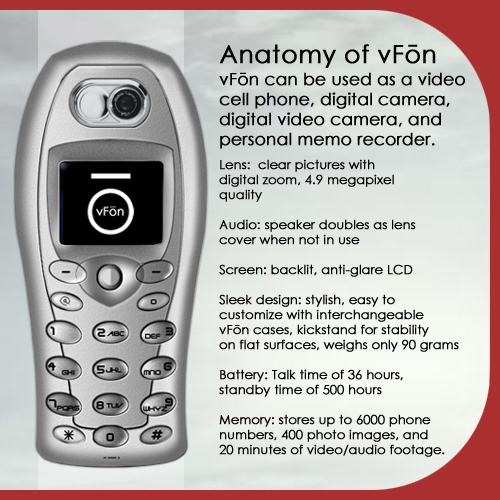 The vFōn market primarily consists of young, urban individuals…The vFōn demographic, being technologically savvy and future-forward thinkers, may view the video phone technology as a necessity. 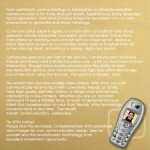 Given the fact that vFōn is the first of its kind, its novelty may appeal to many consumers. 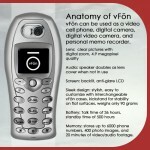 The sleek design, futuristic image, and new technology of vFōn easily separate it from competitors. While I received an “A” on the assignment, I’ve been sorely tempted to send my friends at Apple an invoice. I’ll waive the usual consulting fees in return for stock options and royalties. Heh. 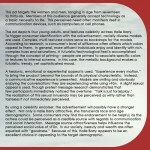 Check out samples from the project’s final presentation. I hope you enjoy the cringe-worthy print ad write-up. Yeesh. This entry was posted in Brands, Jon's Show & Tell and tagged Apple, Brand Design, FaceTime, iPhone, JonBeebe, Mobile, Product Design, School Project, Steve Jobs, vFon by Jon Beebe. Bookmark the permalink.